Downtown DSM is center stage of arts and culture in Greater Des Moines (DSM). From the Des Moines Civic Center, host to nationally-acclaimed Broadway shows, to Pappajohn Sculpture Park, home to some of the world's most celebrated artwork, the streets will take you to the heart of art, literally – follow Art Route DSM, a 6-mile path showcasing nearly 100 pieces of art from both local and international artists, to see for yourself! So little time, so much to do (and see and eat)? The Des Moines Social Club is a melting pot of art and eclectic entertainment with an art gallery, black box theater, basement bar, Latin restaurant and comic books shop all within one location. For more information about other venues and events for arts and culture, visit the Greater Des Moines Convention & Visitors Bureau. 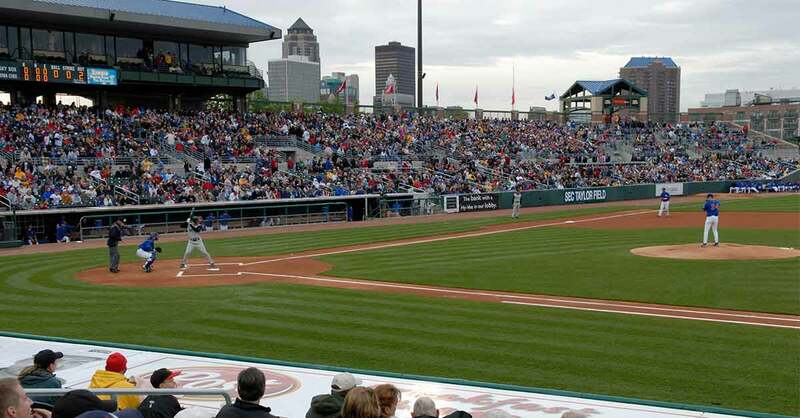 Downtown DSM also offers fun outdoor activities to enjoy the city. You can join a bike or walking tour to explore hidden gems along the Principal Riverwalk or take an educational tour with the Iowa Architectural Foundation to learn more about the architectural heritage of what makes this city unique. For more ideas of fun things to do, visit the Downtown DSM Outdoor Recreation & Trails page. When the sun goes down, venues in the Historic East Village, Historic Court District and Western Gateway ramp up with live music acts in all genres. Wooly’s, Vaudeville Mews and The Basement are just a few local favorites. Throughout the summer, Brenton Skating Plaza and Simon Estes Amphitheater transform to also welcome a lineup of shows held each summer at Nitefall on the River. And if you're lucky, you're in town for one of the many nationally-renowned and world-class music festivals that take place in the heart of Downtown DSM. Need ideas for where to eat or grab a drink before a show? There's a place for that – take a look at the menus from these famous Downtown DSM restaurants located just around the corner from your evening. Read about Downtown DSM attractions.